The Client is a young family who wish to build a new 3 bedroom house with a book binding workshop within it. The workshop must be accessible to the public for classes and for the display and sale of hand made books throughout the year; http://www.sollasbooks.com/. 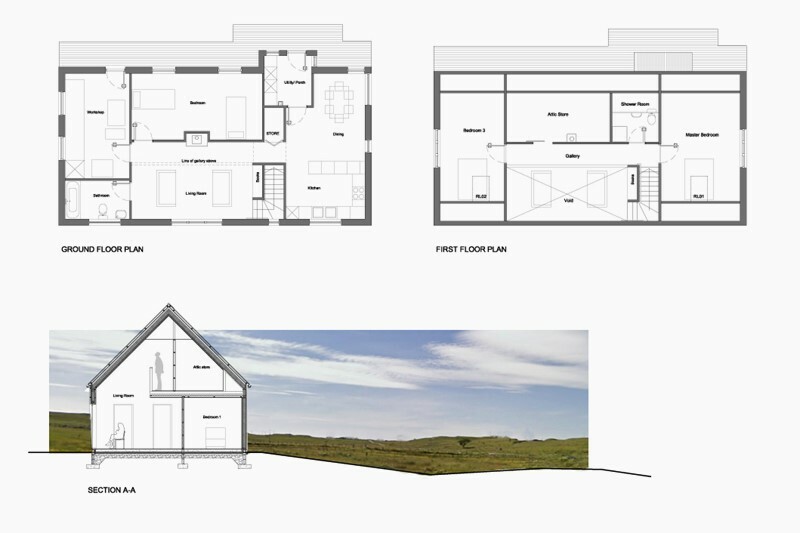 The house has been designed to be as open plan as possible with the living accommodation and a children’s bedroom on the ground floor and two further bedrooms on the first floor. 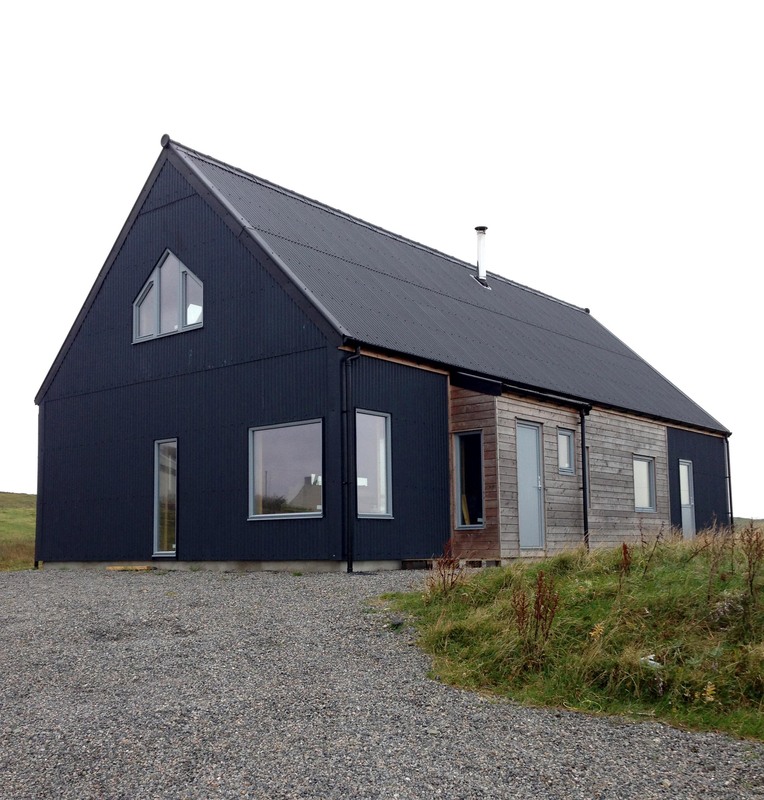 The house will be clad primarily in Marley Eternit profiled sheeting with some areas of Scottish Larch cladding. The house will incorporate solar water heaters and photovoltaic panels to provide electricity and hot water.